Languedoc Roussillon is a tranquil region of South France, bordering the Mediterranean Sea, Pyrenees, Spain and Andorra to offer a wonderfully diverse range of attractions for visitors. Just some of the incredible towns to be explored in this region include Montpellier, where visitors can enjoy traditional French architecture along with delicious cuisine; Torreilles with its golden sandy beaches and sand banks home to rare flora and fauna; and Marseillan, which is home to pretty canals populated with little boats and framed by traditional French buildings. Summer France recommends a stay at one of our fantastic properties in the Languedoc Roussillon region. Our 4-star Residence Le Mas de Torreilles has been designed for a relaxing self-catering break with family or friends. Make the most of the warm summer season in the residence's shared outdoor swimming pool, or head to the spa for some relaxation. Alternatively, our Residence le Village des Aloes in Cabère-Banyuls offers stunning views over the cove and Mediterranean Ocean. 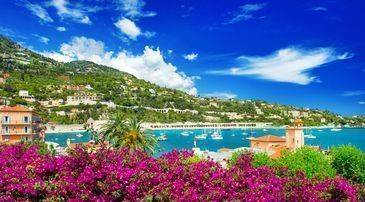 Whatever you're looking for, choose from our range of accommodation in South West France and enjoy the summer of a lifetime. In the Languedoc Roussillon region, both the fascinating history and traditional, modern culture of France is offered in abundance. From exploration of the towns and villages that host intricate medieval yesteryears, to enjoying outdoor activities against stunning landscapes. Plus, the area boasts an average 300 days of sunshine a year, meaning almost everything you choose to do will be doused in sunshine. Montpellier is one of the most famous in the south of France and is ideal for those wanting to amble through the picturesque streets. Carcasonne is also nestled within the region and offers city walls, bridges and turrets which will take you back into the past. For a beautiful seaside and days spent watching the little boats bringing in their catch of the day, as well as a stunning marina, Collioure is worth a trip, while Nimes dates back to the Roman era and offers a spectacular selection of ruins to explore. The most famous landmark in this beautiful region is the Pont du Gard, a three-tiered Roman aqueduct found in the river of Le Gard Ou Gardon and admired by visitors from far and wide. Located between Avignon and Nimes, the best way to reach it is by car, and the artistic and engineering brilliance of the structure has secured it a place on UNESCO's World Heritage list. There's also a variety of castles to be explored in the Languedoc Roussillon region, including Chateau de Queribus, Chateau de Termes and Chateau d'Aguilar. All offer an interesting glimpse into the past, with some incredible architecture on offer, as well as helpful bilingual guides available to offer further insights into the history of each. No trip to France's beautiful rural countryside would be complete without taking a drive through the striking fields, winding over mountains and through vast valleys, and stopping off at the local villages along the way. Many of the towns are home to a weekly market, where you're able to pick up some of the freshest produce, as well as melt in the mouth cheeses, meats and souvenirs. The vineyards are a must see, stretching out for miles in orderly lines, and the perfect place to find yourself at sunset. To gain a better understand of what's involved in the wine-making process, a vineyard tour and tasting session is perfect. Half and whole day tours are available, with well-reviewed companies such as Vin en Vacances offering transport, an expert guide, and tastings all in the tour price. 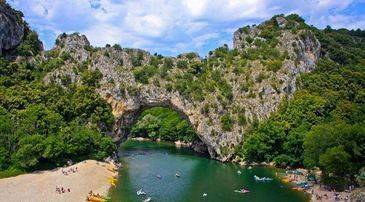 Active visitors to the Languedoc Roussillon region will find plenty to keep them occupied. The rivers are home to a number of activities, including fishing, kayaking and rafting. The beaches of the Mediterranean Sea host numerous water sports, including sailing, surfing, water skiing, windsurfing, snorkelling and more. Back on dry land, walk or cycle through the many trails of the area, stopping off at vineyards to sample some of the incredible cuisine and wines on offer. A hike up the Canigou Mountain is popular for its panoramic views which seem to stretch for miles. Those up for a challenge can attempt the 800m ascent to the ridge which houses the Peyrepertuse, a ruined fortress steeped in history. Like most regions in France, Languedoc Roussillon is proud of its fantastic culinary heritage and keeps the tradition alive with some mouth-watering delicacies, markets and restaurants. As it's such a rural area most villages have grown to adapt their own recipes and will often have a favourite dish, usually based on the ingredients available in the local area. When the evening hits there isn't a huge choice of 'party' towns in the Languedoc Roussillon region, with most visitors heading here for a taste of French relaxation and culture, rather than busy nightlife. That said, most of the towns and villages enjoy a lively bar scene, and the majority of restaurants stay open until late for those who enjoy a long dinner or a drink or two afterwards. For the largest and loudest nightlife, including a few clubs, Montpellier is the best place to dance the night away. Most of the tourist boards in the region are able to point guests to a list of fully qualified babysitters and nannies, with some towns even offering classes and summer schools. There are also plenty of bilingual nannies available. Most of the walking areas in Languedoc Roussillon offer guests easy places to park for free, with the cities offering a few free car parking spaces. Most have car parks which are available at reasonable prices, but it is recommended that you check before you set off. 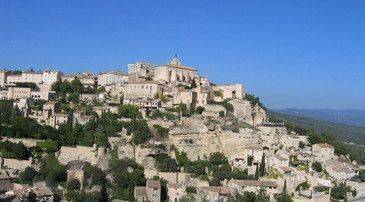 All of Summer France properties in the area offer parking to guests.